I think most people, even those who don’t care about history, have some idea that the Panama Canal is an amazing feat of engineering. I hope they know that the Panama Canal is widely regarded as one of the wonders of the modern world. Most probably don’t know, however, why these statements are true. 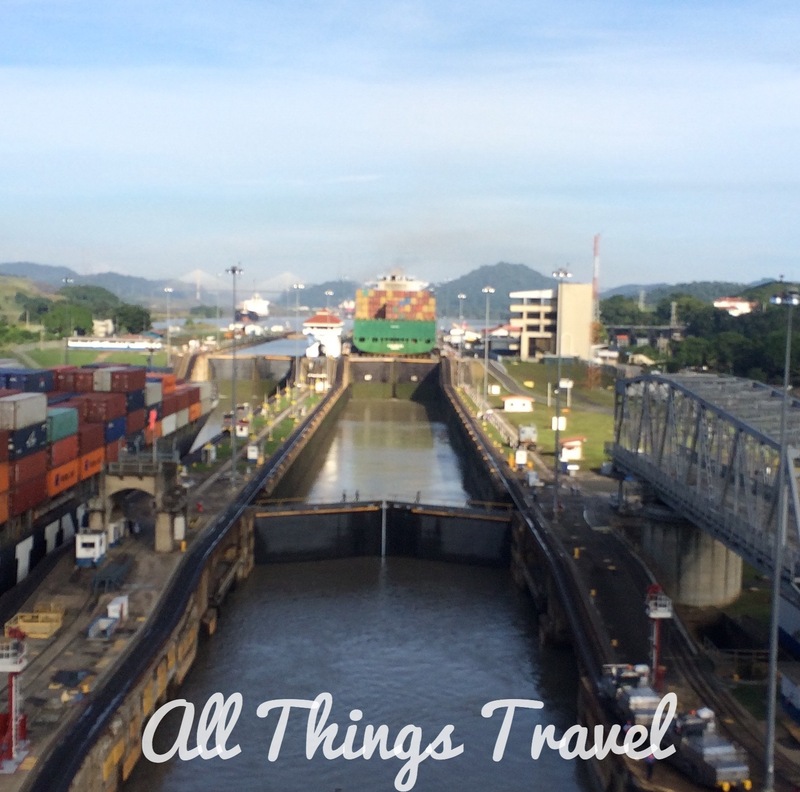 Here are just a few fascinating details about the Panama Canal. Expeditions to find or create a waterway across the isthmus of Panama are recorded as early as the 16th century when Vasco Nunez de Balboa explored the area for Spain. It was the French, however, that initiated a project in 1881 under the leadership of engineer and developer, Ferdinand de Lesseps. He previously had completed the Suez Canal in Egypt in 1869, after 10 years of construction at a cost of $100 million so he mistakenly thought a canal across Panama would be similar in effort and equally lucrative to investors. The Suez Canal, however, is a 100 mile pathway at sea level which was impossible to re-create across the 50 mile isthmus of Panama due to entirely different conditions. “Apart from wars, it represented the largest, most costly single effort ever before mounted anywhere on earth,” wrote David McCullough, in his award-winning book about the Panama Canal, The Path Between the Seas. Between 1881 and 1888, French investors spent over $280 million before the project went bankrupt. The United States purchased the rights to the project in 1902 and spent another $375 million from 1904 until the project was completed in 1914. The French plan called for a canal built at sea level which required monumental excavation through tropical jungle and mountainous terrain. Due to heavy rainfall feeding waterlogged ground and the wild and treacherous Chagres River, excavation efforts repeatedly resulted in massive mudslides. Too late in the project but finally accepting that a sea level canal was impossible, de Lesseps conceded the need to use a system of locks to reduce the amount of earth to be moved. Thirty million cubic yards of earth were excavated in the French project which was a fraction of the total amount that would be moved. In addition, tropical diseases decimated the workforce. By the time the French project failed, the death toll stood at 20,000 from malaria, yellow fever, or accidents. This is likely a gross underestimate, however, because deaths that occurred outside the hospital weren’t counted. President Theodore Roosevelt initiated the American canal project and he is often credited with its construction but work actually continued throughout the term of President William Howard Taft and the canal was completed during the presidency of Woodrow Wilson. When Colombia didn’t agree to the terms offered by the United States, U.S. gun-boat diplomacy ensured the success of Panama’s bloodless revolution to establish their independence from Colombia. Better terms followed. The U.S. obtained a 10 mile wide strip of land across Panama for a canal for a one-time payment of $10 million and $250,000 annually. The American plan eventually called for a system of locks to raise ships to the level of man-made Lake Gatun at 85 feet above sea level, which was created by damming the Chagres River. After crossing the lake, ships would pass through another set of locks to return to sea level in the other ocean. Beginning in 1904, the American experience was similar to that of the French but the tide finally turned when John Stevens was appointed chief engineer in 1905. With better planning, a repaired railroad, more effective equipment, and improved sanitation (to decrease the mosquito population), the project finally took off. Over 238 million cubic yards of earth were moved and more than 5,000 workers died in the American project. It opened in 1914 on schedule and under budget. In 1999, the United States transferred control of the Panama Canal to Panama. Today, the canal operates as it did when it was built and it is completely self-sufficient. Three dams produce electricity and the tremendous rainfall replenishes the 52 million gallons of water expended in each transit. There are two tracks through the locks allowing 2 ships to transit the locks at the same time. 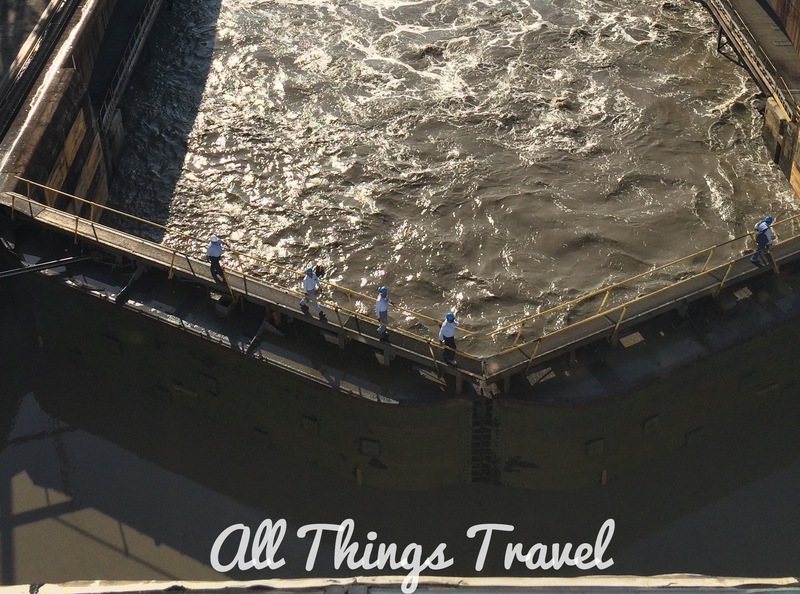 Water fills the locks by use of gravity while locomotives, called mules, actually tow the ships through the locks. 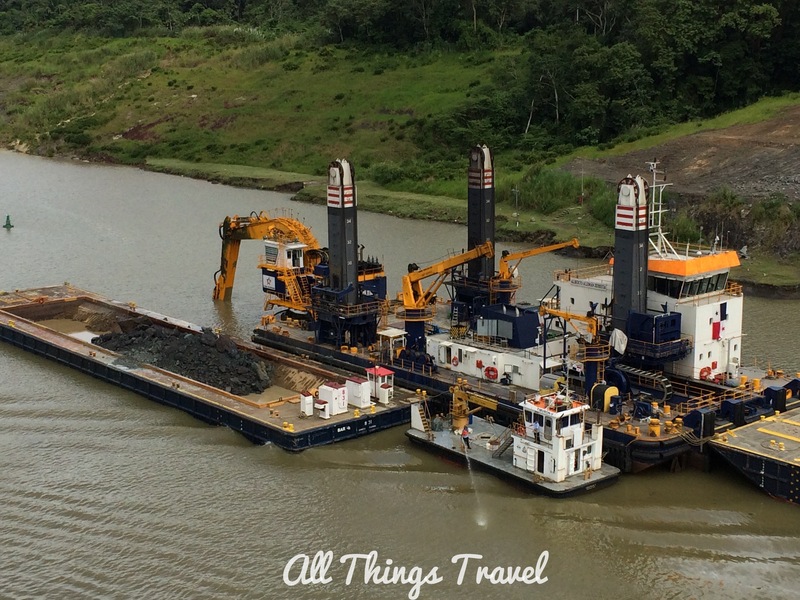 It takes 8-10 hours to transit the entire canal including locks at each end and Gatun Lake in between. Currently, over 13,000 transits occur annually producing revenue of $1.8 billion. The cost per transit varies by tonnage and number of passengers but a cruise ship, for example, pays around $300,000 to transit the Panama Canal. Curiously, it seems like you should be going east when transiting the Panama Canal from the Pacific Ocean to the Atlantic. In actuality, you are headed northwest as the map below shows. 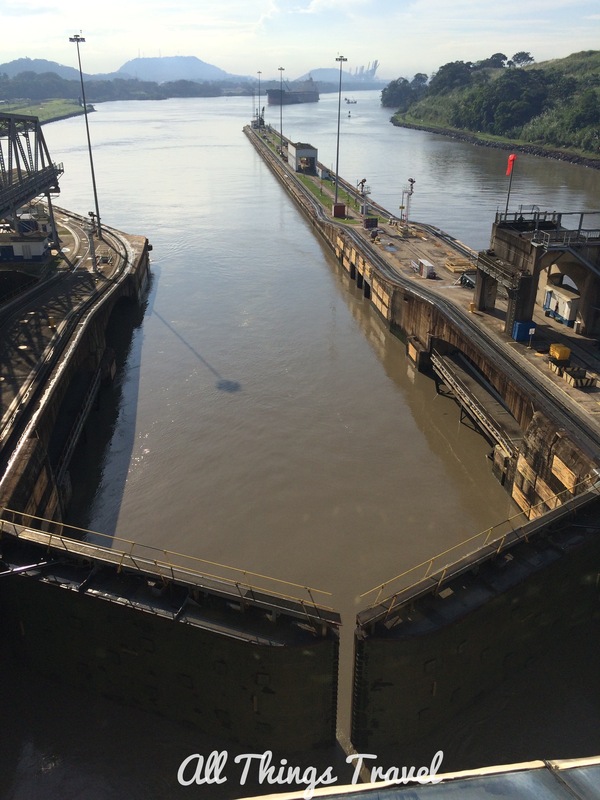 The Panama Canal expansion project began in 2007 and is currently over 80% completed. Another set of locks is under construction that will double capacity and accommodate new and larger ships. In addition, dredging will improve the navigational channels. 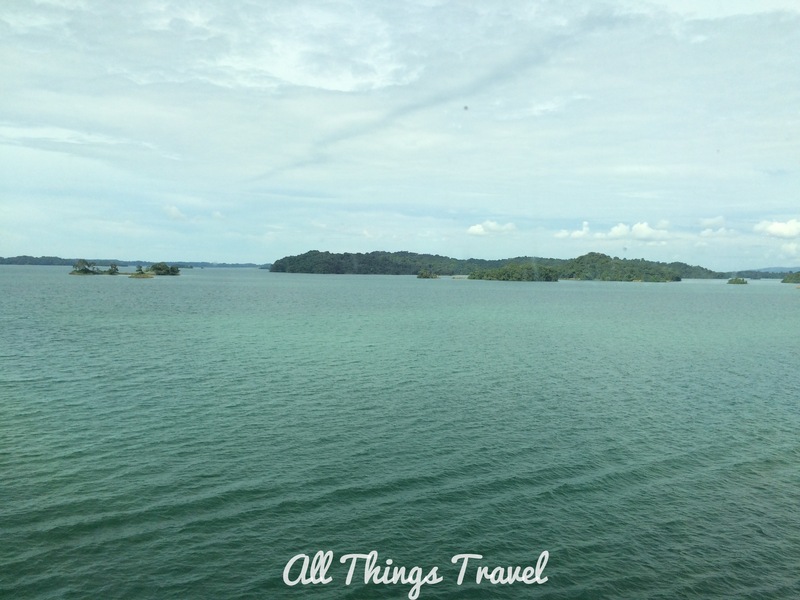 Everyone I’ve talked to that has taken a cruise through the Panama Canal cites it as their best cruise ever. With so many endorsements, we simply had to do it and we thought the centennial year would be the perfect time. Our friends, Lori and Rick, also wanted to do this trip so off we went. 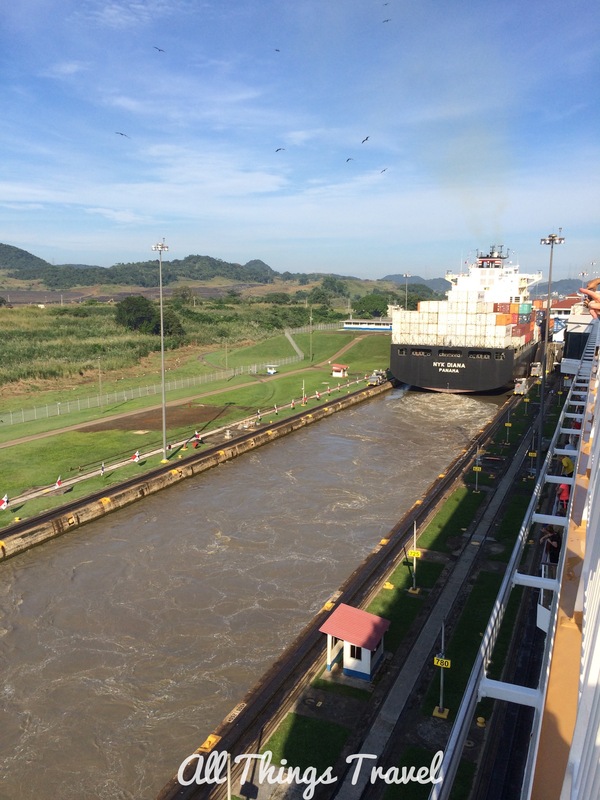 The day before we arrived at the Panama Canal, the Norwegian Star showed the PBS NOVA documentary, A Man, A Plan, A Canal–Panama, narrated by David Mccullough. 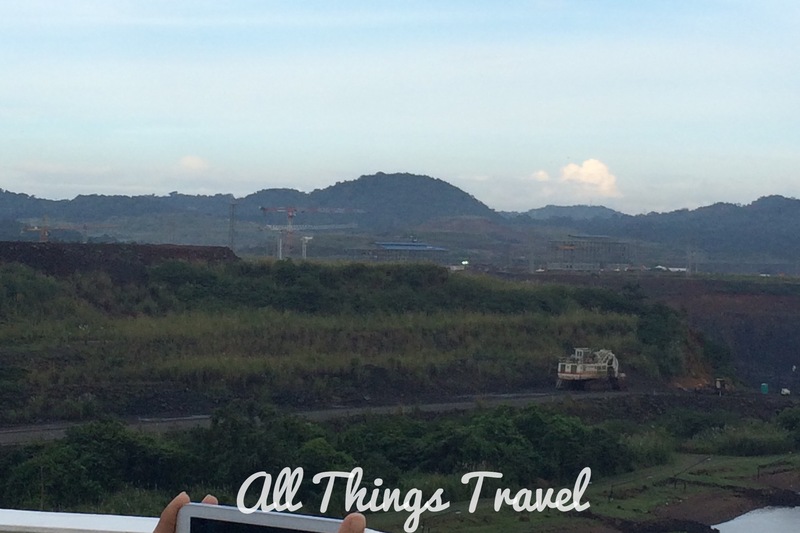 After learning so much about the history, we were all excited and up at dawn when we arrived at the Panama Canal. In all honesty, I’ve seen locks before so this was not totally new to me. After the first lock, I’d seen enough and it was kind of like watching paint dry thereafter. (In fairness, I must say my husband vehemently disagrees with this statement.) The back story, however, is fascinating to me and I hope you think so, too. It is fascinating! My history class on this was so long ago that it was nice to refresh my memory. 🙂 The terracing is beautiful and it really caught my eye in this post even though your focus was on the canal. The world is a much different place with the canal in place, isn’t it? 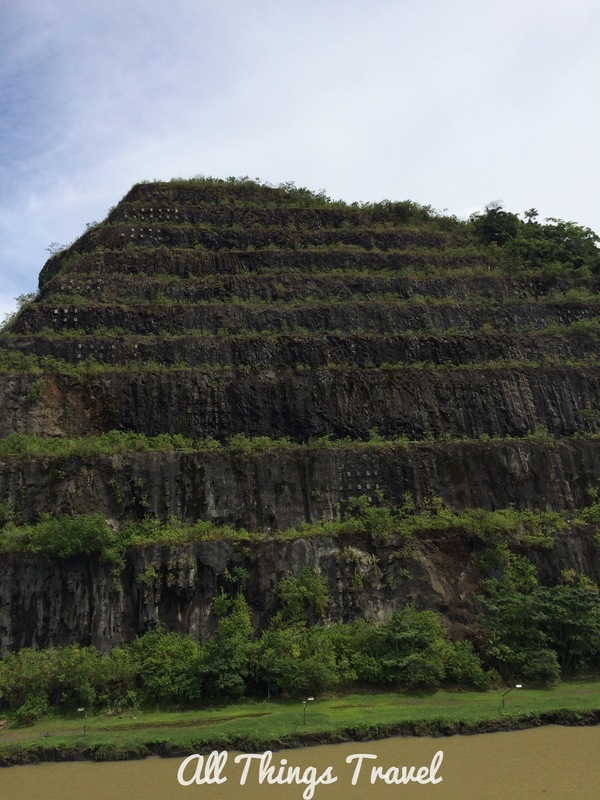 Yes, and the terracing is absolutely necessary to keep those slopes in place through tropical rains. It’s amazing what human ingenuity can accomplish. Thanks, Beth Ann. We’ve been to the locks at Sault Ste. Marie and we’ve been past the ones at La Crosse but I think a stop may be in order for Jim. The history is fascinating – the numbers of those who died make sobering reading. I would love to go through the canal but like you one lock would most likely do it for me, my husband would also probably disagree with that! Yes, it’s sobering, indeed. Amazing that we’ve reduced the incidence of so many diseases by better sanitation. Our surroundings smell better, too!